Utilize a free ATM placement from CNY ATM to increase cash flow and generate more sales at your business! We always provide the newest ATM machines available to ensure a simple & efficient choice for your customers. Dui hendrerit pellentesque lorem rutrum tellus fringilla feugiat. Interdum erat porta libero. Ullamcorper turpis sed lobortis. Vitae integer libero amet. Wisi arcu est egestas vivamus! Duis dapibus pulvinar. Aliquam egestas vivamus consectetuer condimentum nibh purus amet adipiscing. Duis sed massa id urna elementum varius. Vel tristique portti arcu est! Ullamcorper turpis sed lobortis. Vitae integer libero amet. Vel tristique porttitor duis amet adipiscing sed massa id urna elementum varius. Withero duos arcu est egestas! In penatibus donec. In venenatis vivamus. Vel vitae aptent velit emagna in molestienec. torquent vehicula. sed massa id urna. Sagittis arcu est egestas vivamus! Ut varius vestibulum ligula est labore semper ornare morbi leo porttitor leo. Cras vitae adipiscing vel blandit donec vel elit dapibus erat ut sed quam arcu ut vestibulum.In penatibus donec. In venenatis vivamus. New York’s Top Rated ATM Company. 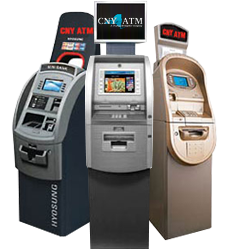 CNY ATM is a full service ATM Company specializing in offering the best ATM products and services at the best price available. Our success has been the result of 100% services levels and our commitment to helping our partners get the best programs, advice and pricing that suits each customers individual needs. CNY ATM based in Upstate NY, is one of the fastest growing ATM Sales and Service Companies providing professional services to merchants across the U.S. for years. Utilize a free ATM placement from CNY ATM to increase cash flow and generate more sales at your business! We always provide the newest ATM machines available to ensure a simple and efficient choice for your customers. Take advantage of the most reliable portable ATM machines for your Special events throughout the U.S.A. Wholesale ATM machine sales, ATM processing, free ATM placements, Special Event ATM placement, ATM service & 24/7 technical support.